I was looking through Sophie’s baby photos and was trying to pick one out for her to bring to school for her Children’s Day celebration this Friday. I realised that I have been immensely blessed to have such a joyful baby. There are just so many photos of her smiling, giggling, laughing and I just cant help but smile back at my screen. I thank God each and every day for the joy that you’ve brought in to my life. Indeed you are my firework! 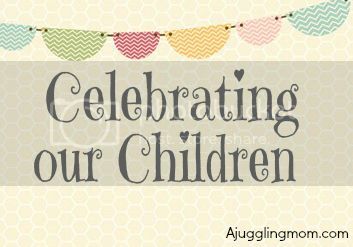 Don’t forget to link up for Celebrating our Children this October as we celebrate the many things we are thankful to our children for. Love this baby photo! Such gorgeous smile! Sophie looks so happy in that pic! Thanks Adeline. Gosh I miss her baby days. Was going to link up but cant find the linky!